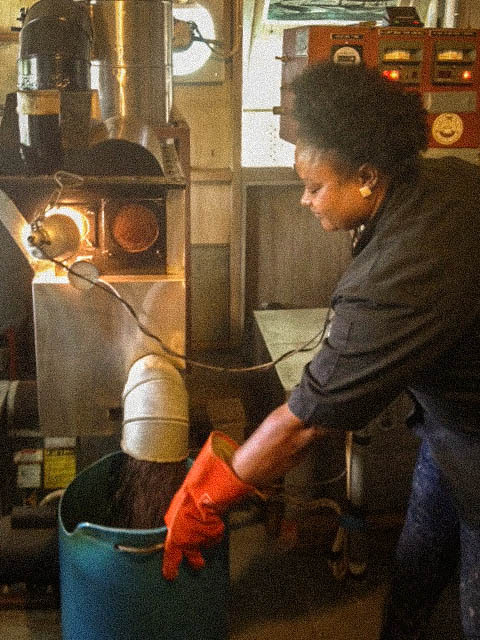 "Put a little island in your cup"
Come and experience the roasting process for yourself. 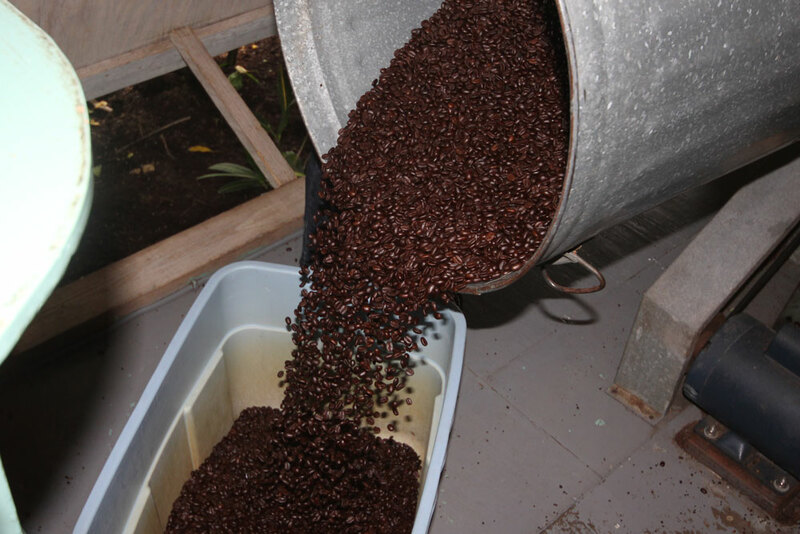 Watch the roasting of our Arabica Coffee in the famous Bean Machine - one of the only fluid bed roasters in the Caribbean! Try our featured Blend of the Day. Relax and take in the active view over Falmouth Harbour whilst enjoying yummy treats and the best coffee around! There is no charge to attend an Open Roast Day. Sessions are scheduled for 10am, 12pm and 2pm. Each session takes approximately 30 minutes - and we ask that you call or email in advance to book. Carib Bean Coffee Roasters is a coffee roasting company based on a hilltop overlooking Falmouth Harbour. We source the finest speciality coffee from around the Caribbean Basin as well as other exotics and roast them daily. With over 20 years in the business, our coffee loving team of professionals have a wealth of experience and a passion for what they do. What sets us apart from the rest you ask!? It’s our Sivets Fluid Bed Roaster, otherwise known as ‘The Bean Machine’. Most companies roasting coffee nowadays are using the traditional drum roasters. These machines introduce hot air into their roast chamber, where the beans then tumble and touch the hot surfaces to roast. The Sivets system lifts the beans on a fluidized bed of hot air, keeping the beans moving and not scorching on hot surfaces, creating a cleaner, more aromatic roast free of bitter tasting tars. 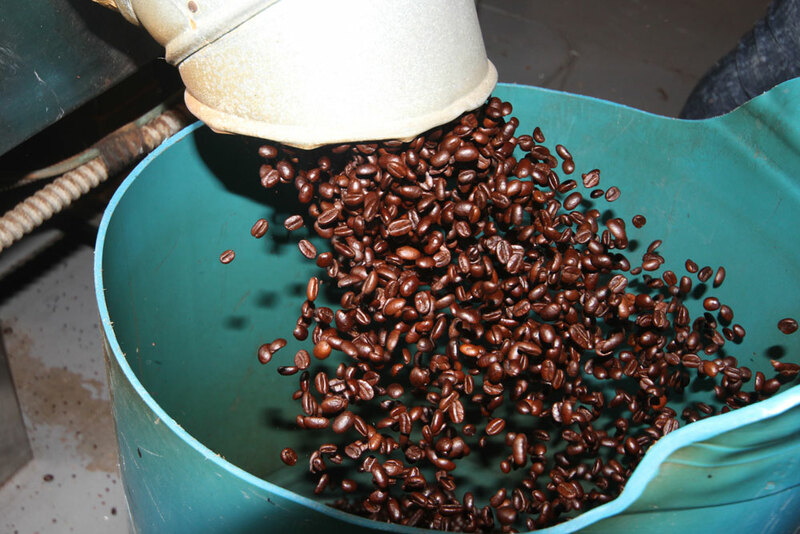 Roasting to order, we guarantee you will not find a fresher end product anywhere in Antigua. Custom labels are also available for hotels, restaurants, villas, Yachts and even personalised wedding favours! If you are really interested in seeing what we do, book yourself in to one of our open roast days, (Every Wednesday in Season) but be sure to book ahead of time, we can get pretty booked up. 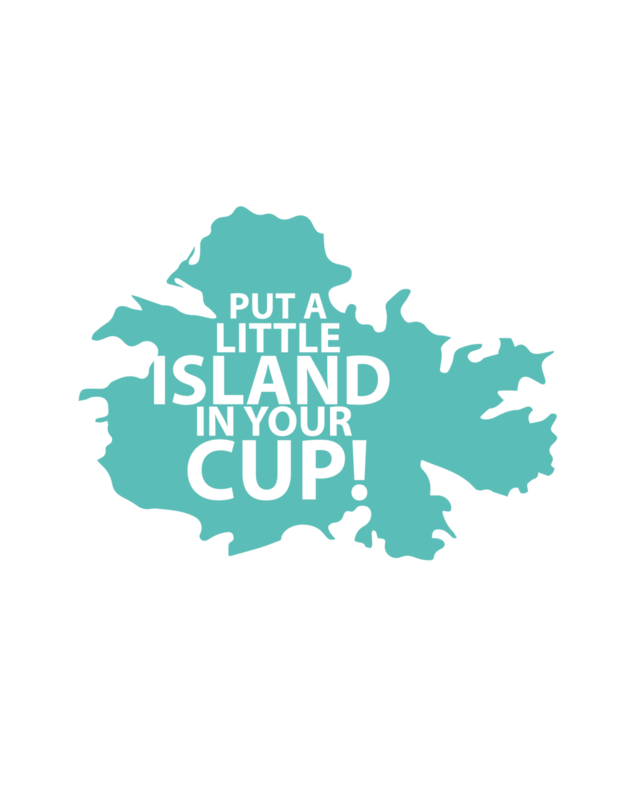 Put a little island in your cup!!! Having started off focused on home users many years ago, over time the demand arose for us to supply Hotels, Coffee shops, Restaurants and supermarkets amongst many others. We have a wide selection of trade customers ranging from five starred resorts and World known Mega Yachts to independent coffee shops and restaurants across the Caribbean islands. We strive to select only the best beans for each and work with all our customers to ensure every aspect of their coffee business runs like clockwork from the delivery down to the serving of the coffee. We can also assist in pointing you in the right direction when it comes to purchasing coffee equipment for your business. We have established good relationships with a handful of the top suppliers of machines in the coffee world, and due to this we are able to give you impartial advice on the machines that are available out there. And once you have your shiny new machine, our team who are all fully trained Baristas, are available to lend a hand with the training for your staff if needed. So if you’re like us and are passionate about great coffee and only serving your customers the best, contact us today and we’ll be glad to arrange a visit or discuss your options. Coffee is such an important part of everyday life for your customers. Make sure that you are serving them the best so they are not leaving you with a bad taste in their mouth. With 15 different blends to choose from, there really is something for everyone! All of our coffees are available in 1lb and 5lb bags and can be purchased in Whole Bean or Ground to your specification. Created to celebrate everyone's Caribbean dream, this coffee has a smooth full body with notes of caramel carrying the richness of the islands with it. Developed for the famous Antigua Classic Yacht Regatta, this smooth blend of South American origin roast will certainly put the wind in your sails with its rich, clean finish. This special blend was created to celebrate the carnival season. A three bean combination that is mixed and roasted to achieve the perfect balance between caffeine and flavor. The complex Ethiopian Mocha joins well with the floral and rustic earthy flavoured notes of a great java. Producing a blend that is bold with a mixed chocolate and earthy body resulting in a great mouth feel. For those magical island mornings, a full-bodied coffee with a smooth finish filled with aromatic nectar. An invigorating blend of Central American and Caribbean basin origins. This is a meticulously crafted blend of three beans from central and South America. With notes such as lemon and dark chocolate, your taste buds will be taken on the ultimate journey. This innovative mixture of two secret house blends was created in honour of the great Bob Marley. Containing six beans from around the Caribbean region, this invigorating blend will keep you jammin’ all day. A special blend of dark roasted Latin American grown coffees blended with a quarter of our Primo Espresso. A full flavoured coffee that makes the ultimate after-dinner drink with dessert. A great way to weather those hurricane force winds. An intense and vibrant blend of New World coffees from Central and South America. Characterized by an intense and smoky-sweet flavour, accompanied by a thin body and mouth feel. Not for the faint of heart! Our signature espresso blend contains a balance of estate grown coffees from Central and South America, carefully roasted- Italian Style. A deep smoky bittersweet essence working well as both an espresso and a filter brew. For those of you who want to appreciate the great taste of high-quality coffee but don’t want the caffeine, this one’s for you! Working well as both an espresso and a filter brew.